Ghost vocalist and leader Tobias Forge says he’s already begun working on the band’s next studio album. In an interview with Billboard, Forge reports that he’s been involved with the new project “for months now” and is planning to release the follow-up to Prequelle in 2020. 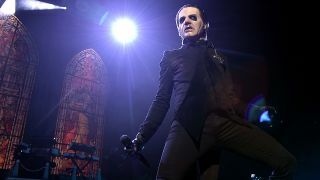 Ghost are currently on tour again across Europe and have also been nominated for two Grammy Awards in the Best Rock Song category for Rats, and shortlisted for Best Rock Album for Prequelle. The winners will be announced at the ceremony on Sunday (February 10) which will be broadcast live on CBS from the Staples Centre in Los Angeles.